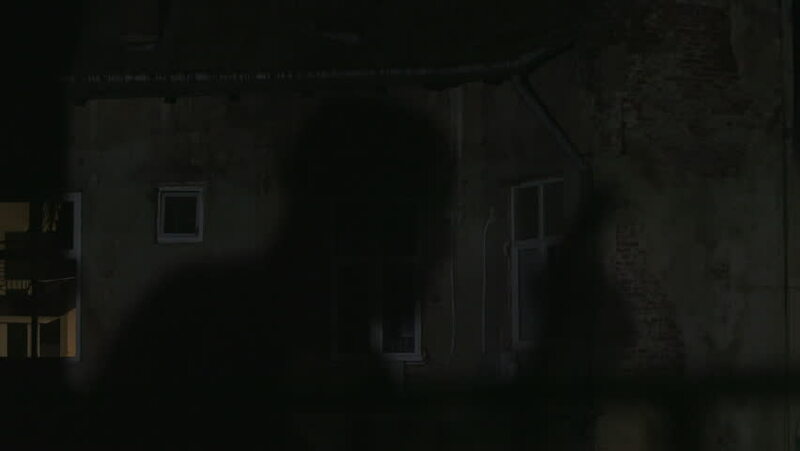 Shadow of man with gun reflecting on house. Dangerous killer trying to get into house. Lifestyle. Night time. Darkness.